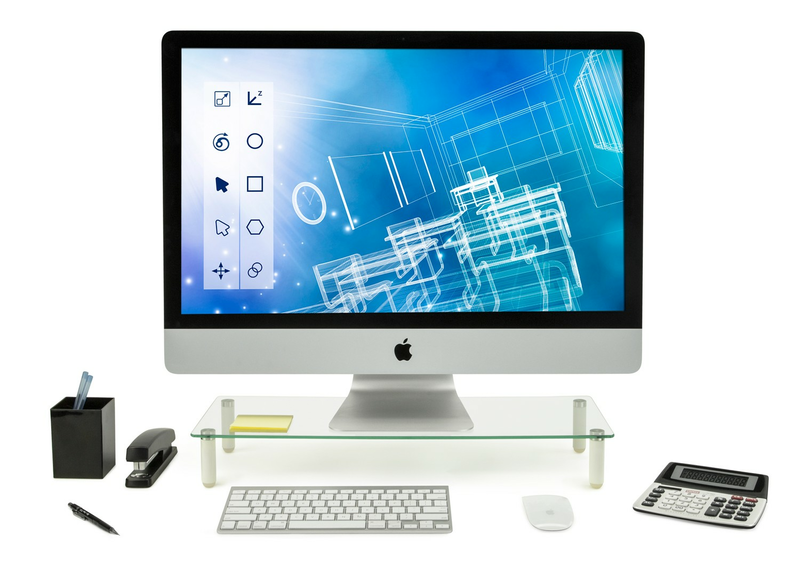 This elegant glass stand can be used as an office desktop stand for PC and Apple computer monitors or for other office equipment. It elevates displays by 2.75 inches. Creates additional horizontal surface under the monitors to store your laptop, keyboard or other office related document or accessories. MI-7263 uses four stable legs and 5 mm thick plate glass. Do not resort to cheap looking models that are selling at similar prices.